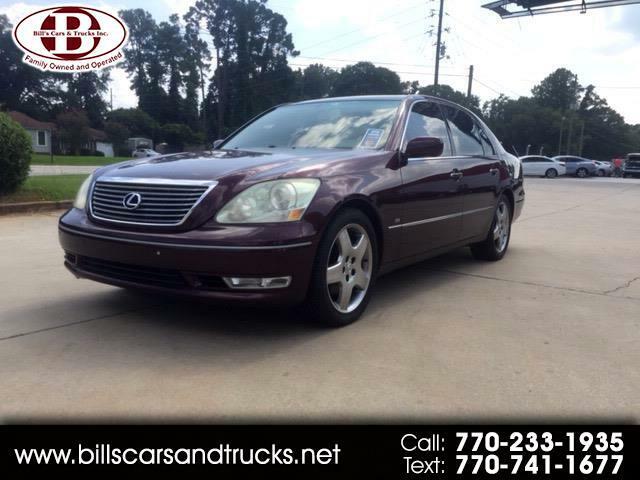 This 2004 Lexus LS 430 is an elegant vehicle with a maroon exterior and tan leather interior. This sedan is very spacious and gives plenty of leg room in addition to storage room in the trunk! It also come equipped with a Navigation system, radio display and Bluetooth capabilities! This Lexus is not lacking when it comes to having plenty of great features, come by today and check it out!